While I am still away on vacation, my good blogger friend Christina agreed to help me out by writing a guest post for Counting My Cupcakes. 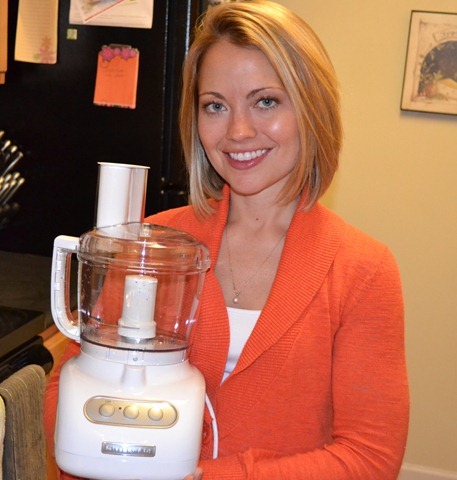 Christina lives in Charleston too and writes Hungry Meets Healthy, a blog about food, fitness, and her fun life in general! She’s a great, entertaining writer, and her blog quickly became one of my favorites. I am so thankful she was able to contribute while I am away. Without further ado, here is Christina! Hi everyone! I’m Christina from Hungry Meets Healthy. I’m honored to say that our dear friend Brittany asked me to write a guest post for her while she is on vacation. I’m also a little jealous! I’ve been blogging and cooking for a few years, and thought I’d share with you my top kitchen essentials. 1. A food processor. Preferably one by Cuisinart or Kitchenaid. Both have been around for a while and have good reputations. Choosing between the two is just personal preference, much like choosing between a Nikon or Canon. Do your thing. I have the Kitchenaid 7-Cup food processor (Model # KFP715). Some of my favorite things I make with my food processor are hummus,whipped banana “ice cream,” smoothies, and almond butter. 2. 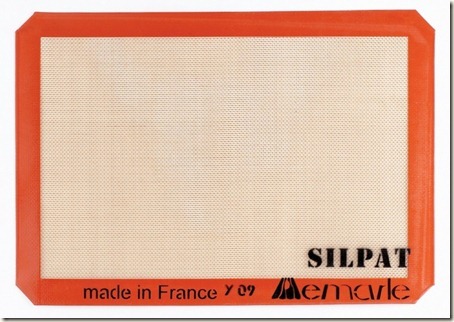 A Silpat non-stick bating mat. The Silpat mat can be placed right over a pan before baking cookies or roasting veggies. Cookies slide right off and you don’t even have to use grease! I don’t know what I would do without this. This past birthday I was given my first really good knife, a Shun Santoku knife. This baby is sharp. It cuts things so easily that I’m a bit intimidated using it. I think that accurate ingredient measurements are essential for baked goods. Cookies too crumbly? You might be using too much flour. Cookies spreading too thin? You might not be using enough. 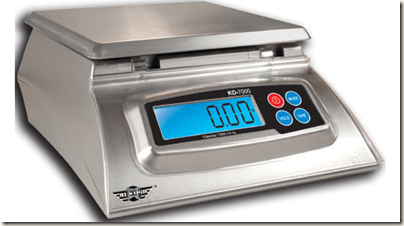 With a scale, you’ll always have the correct amount of flour which will yield perfectly textured cookies, cakes, bread, and so on. I use the My Weigh KD7000. It measures in pounds, ounces, grams, and kilograms. It has a removable stainless steel platform and it small enough to sit on your countertop without getting in the way. It’s important to a) look cute while you’re cooking and b) protect your regular clothing, even if it’s gym attire. Nikki gave me this Hungry Meets Healthy embroidered apron for my 26th birthday. Bonus Item #1: A good friend to assist. Amanda enjoys cooking as much as I do, so she is always of great help in the kitchen. 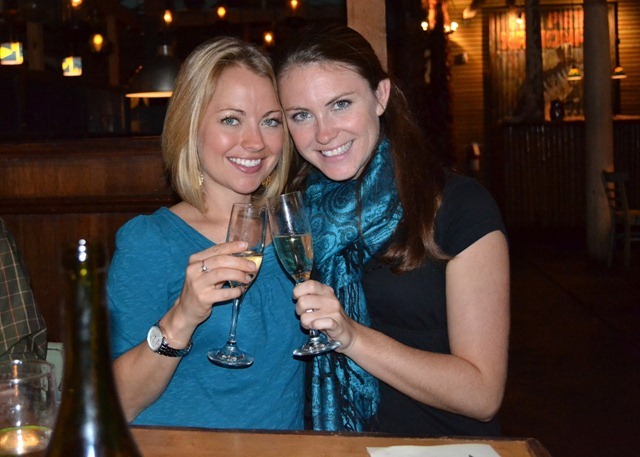 It’s more fun cooking with a friend because you can relish over the end product together! Bonus Item #2: A good friend to provide the adult beverages.